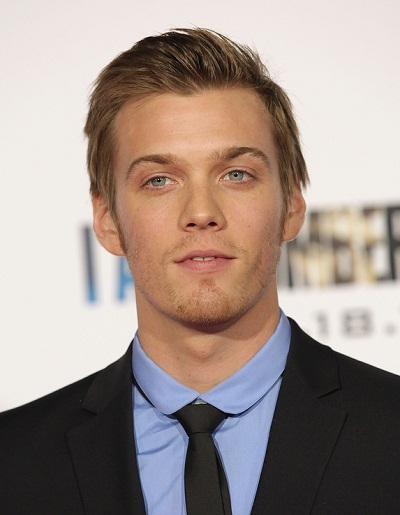 Place of Birth: Canton, Ohio, U.S.
Jake Abel is an American actor, model, and singer. Jake is married to writer Allie Wood. Jake’s paternal grandfather was Virgil John Abel, Jr. (the son of Virgil John Abel and Kathleen Beatrice Weaver). Jake’s grandfather Virgil was born in Ohio. Jake’s great-grandfather Virgil was the son of Jacob Winfield Scott Abel and Clara Margaret Isch. Kathleen was the daughter of George B. Weaver and Nannetie Musser. Jake’s paternal grandmother is Betty June Bailey (the daughter of Charles Willard Bailey and Florence Lowena/Laverna Beard). Jake’s maternal grandfather is Robert Allen Swinehart (the son of Lawrence Raymond Swinehart and AnnaBelle Sellers). Lawrence was the son of Allen Swinehart and Clara B. Reed. AnnaBelle was the daughter of Robert P. Sellers and Lillie May Myers or Edgington. Jake’s maternal grandmother is Donna Jean Lantzer (the daughter of Earl Lee Lantzer and Ruth Ann Bissell or Johnson). Earl was the son of Lee Valentine Lantzer and Edith May Bowers. He has a typical southern German look, like Bavarian. there is not a thing like SOUTHERN GERMAN LOOK etc. There are numerous attractive pictures of Jake Abel. Why this one? I think this is probably one of the best pictures of him out there. Because whoever runs this site always picks the ugliest and SHITTIEST photos of people. always so negative. just like on the ethniconnect site.